What’s the Smartest Choice in Home Security? What's the Smartest Choice in Home Security? Doesn't it feel like everything is being reinvented nowadays? Like: hailing a cab. Or shopping, or music listening, or watching TV – all reinvented. Home security is no different. Just ask one of the millions of homeowners who trust Alarm.com. 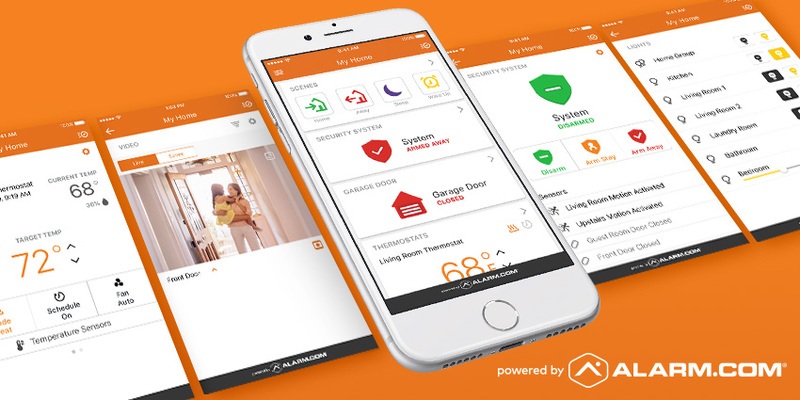 Since reinventing home security back in 2000, we've been innovating non-stop to deliver better security, enhanced convenience and energy savings, and smarter home automation ever since. Here's what makes Alarm.com the industry leader and the smarter choice. Home security used to be an alarm that sounded in response to a break-in. Alarm.com made it proactive. Our technology discerns what's happening and takes action on your behalf to keep you safe and aware of what's happening. Our security technology reminds you if you forget to lock up or arm the system. 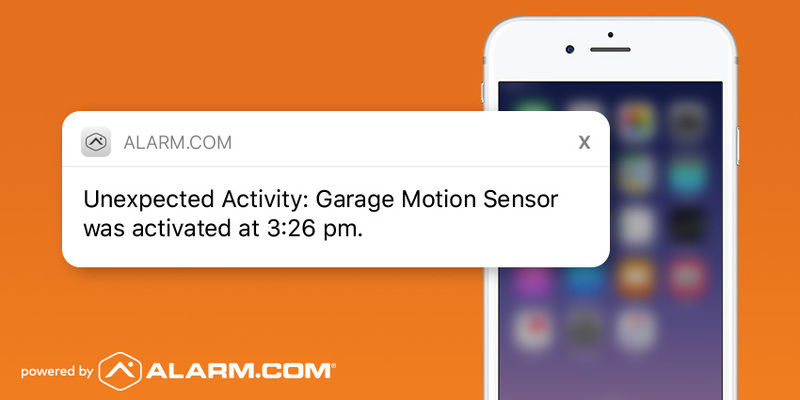 It automatically detects and lets you know if there's unusual activity around your home. It shuts down your HVAC if it detects smoke in your house. And it still sounds the alarm during a break-in—while also alerting a 24-7 monitoring station, so a security professional can dispatch the police. Your security system is only as strong as its emergency connection. That's why every Alarm.com-powered system uses a dedicated cellular connection. It doesn't piggyback on your home's broadband connection, it can't be defeated with a pair of wire cutters and it works if there's a power outage. Even if an intruder attacks your security panel, our patented Crash and Smash protection ensures that your system's emergency signal gets through to a 24-7 monitoring station. Home security used to be inconvenient. 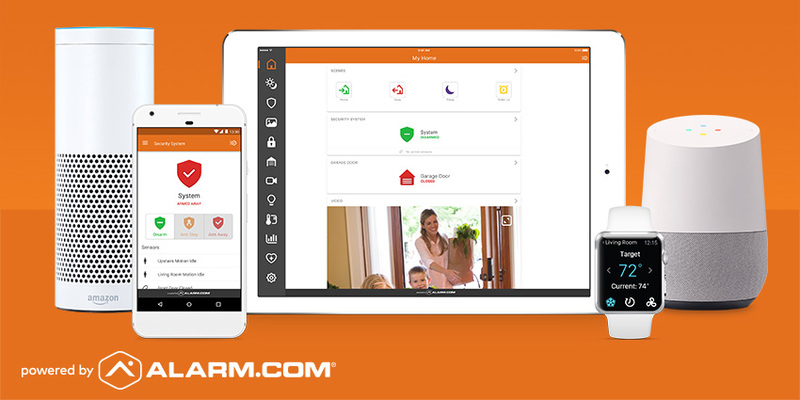 Then, we created the Alarm.com app, enabling you to arm or disarm your security system with a single tap on your phone. Now you can arm it by talking to Alexa. You can arm it automatically when you lock your smart lock at a certain time of day. You can arm it as part of a Scene. The experience of connecting with your Alarm.com powered smart home is intuitive and versatile. With Alarm.com, you can control and connect a huge range of smart devices. We integrate best-of-breed device partners like Yale, Kwikset, Schlage, Lutron and Liftmaster, with new partners added continually. You get just as much choice in how you control your home: our app works on iOS and Android, and you can control your system with Apple Watch and TV, Amazon Echo and Fire TV, and even with Google Home. Nowadays, everyone claims to be reinventing home security. We've already been there—after all, we reinvented it in 2000 with the first interactive security system. 17 years on, we're still at the leading edge, trusted by 5 million homes and businesses and counting. To get connected with an Alarm.com service provider today, enter your ZIP code in the box below.